Three teams offer different tools and strategies to help report usability and safety problems in electronic health records within clinical workflow. The winning tools aim to make it easy to report IT issues within the healthcare workflow: giving feedback to developers and guiding the formation of best practices. The hope is to targeting usability challenges before they become major problems. The James Madison Advisory Group came in first, with a hotkey that allows a clinician to document an issue without leaving their EHR and which simplifies the process of reporting issues. Jared Schwartz and team came in third with a Google Chrome plugin which integrates with common IT ticketing platforms, making it easy to work into existing systems. The winners received $45,000, $25,000, and $10,000 respectively. Like any software, EHRs sometimes have flaws or malfunctions. An already busy clinician who is trying to manage a full patient load, perform diagnostic work and enter data usually doesn’t have time to document and report safety or usability issues to his or her IT department. Finding a way to work tools into the care workflow that allow practitioners to capture and share potential safety and usage concerns results in greater efficiency without disrupting a clinical workflow. "Improving the safety of health IT remains an important priority," said Dr. Andy Gettinger, ONC chief clinical officer. "We believe that making it easier for end users to report will help in that goal." EHRs have the potential to be the first point of data capture in a new landscape of precision care. First, though, they need to win over physicians who see them as cumbersome and byzantine replacements to the old pen and paper methods. Some healthcare systems are focusing on identifying those problems and addressing them to enhance the value of their EHR systems. 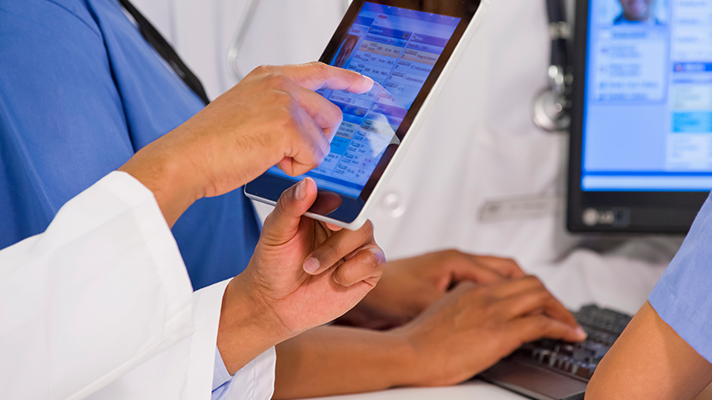 Practitioners are experiencing EHR burnout – something ONC has also recently been working to help combat – where poor usability or other IT safety concerns can have a detrimental impact on effective patient care. "Helping reduce the burden of health IT continues to be a key area of focus at the Office of the National Coordinator for Health Information Technology, and we anticipate the winning submissions to the Easy EHR Issue Reporting Challenge will help with those efforts," said ONC chief Dr. Don Rucker.